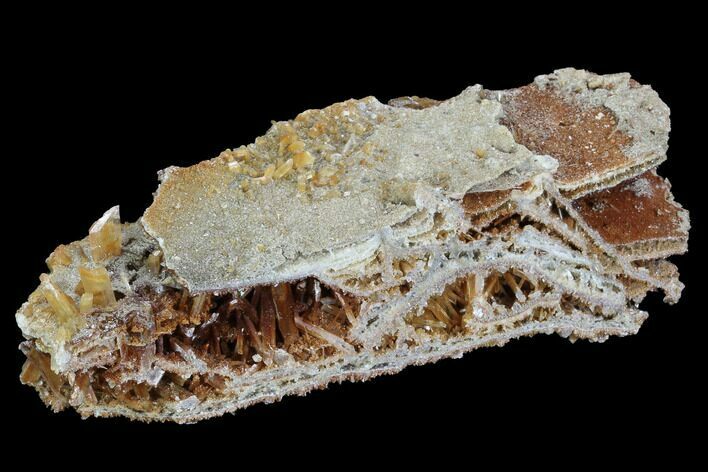 This is an eye catching "sandwich" selenite specimen collected from the Lubin Mine in Poland. 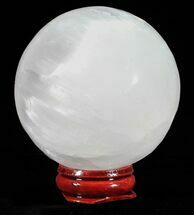 The selenite displays a coloration that ranges between red, orange and colorless, dependent on conditions and composition of minerals present during formation. 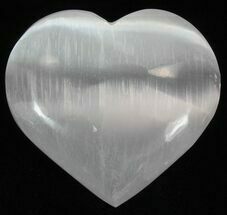 Due to the fragile nature of this selenite specimen, excessive handling is not recommended. 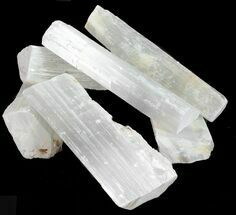 Selenite is a variety of gypsum, a soft sulfate mineral that is composed of calcium sulfate dihydrate (CaSO4 · H2O). 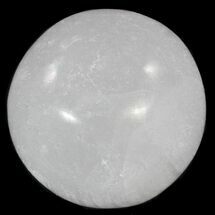 When chemically pure, gypsum is transparent and colorless, however, impurities give the gypsum a diverse range of colors and formations. 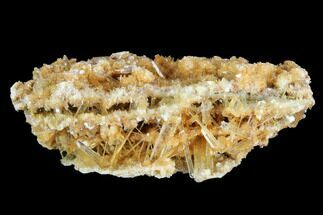 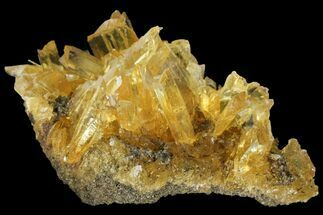 Desert rose, selenite and satin spar are just a few of the varieties of gypsum known to have formed though hydrothermal processes. 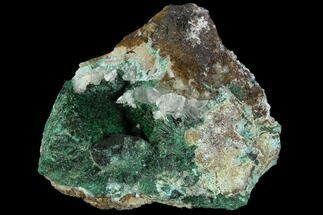 Lubin Mine (copper mine), Lubin, Lower Silesia, Poland.